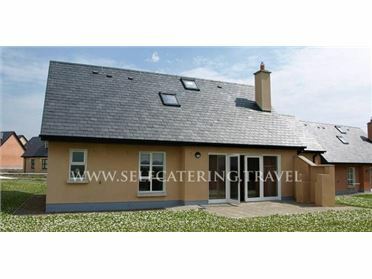 Eileen's is a detached cottage near the village of Aughavas just eight miles from Mohill. The cottage sleeps six people and has three double bedrooms (one with an en-suite shower room) and family shower room with a walk-in shower. Also in the cottage is a kitchen with dining area, dining room and sitting room with gas fire, utility and garage. Outside is off road parking for two cars, storage for angling equipment in the garage and lawned gardens to front and rear with patio and furniture. Situated in south County Leitrim, Eileen's is a delightful cottage to be enjoyed at any time of the year. The small village of Aughavas is situated in South county Leitrim just nine miles from the town of Mohill. Aughavas provides a wonderful location to immerse yourself in peace and quiet with plenty of woodland areas and lush green countryside around you. The village takes its name from the waterfall on the stream which still flows down near the local church. Oil central heating with gas fire. Electric oven and hob, microwave, fridge, freezer, washing machine and tumble dryer in utility, dishwasher, TV with Freeview, selection of books and games. Fuel and power inc. in rent. Bed linen and towels inc. in rent. Off road parking for 2 cars. Storage for angling equipment in garage. Front and rear lawned gardens with patio, furniture and BBQ to rear. One well-behaved dog welcome. Sorry, no smoking. Shop and pub 3 miles. Note: Occasional access to utility/garage is required through a separate door by owner. Note: Although all ground floor, there is one step to access the property..